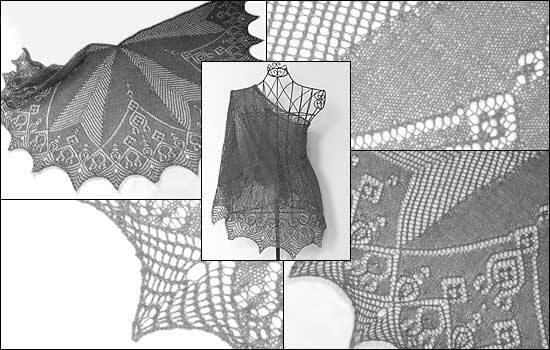 This semicircular shawl is worked from the middle of the neckline downward. The segments are worked in two alternating patterns (stockinette and a graphic lace pattern). The floral edging grows from the stockinette segments and joins both patterns visually, creating the allover impression of a tulip.